Inside the 2018 Dodge Grand Caravan, Green Bay drivers will find ample cargo space, passenger capacity, and loads of great safety and convenience focused technology. This family van is capable and ready to tackle anything that comes its way. Whether you’re taking the family out on the town for the night, or driving the team to their next baseball game, the Grand Caravan allows you to do that with ease. 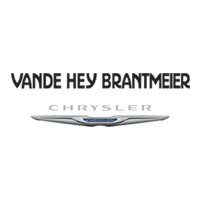 Let’s take a closer look inside before you decide to schedule a test drive at Vande Hey Brantmeier. The 2018 Dodge Grand Caravan is loaded with versatile cargo space, features, and safety specs you want for your drives around Appleton. Make sure to view our rotating selection of new vehicle specials to get that new Caravan at a great price. If you have any questions or concerns, stop by our dealership in Chilton or simply contact us!